We upgraded Moodle to 3.5.1 for the 2018-19 academic year on August 8, 2018. A customized version of Boost is now our default theme! 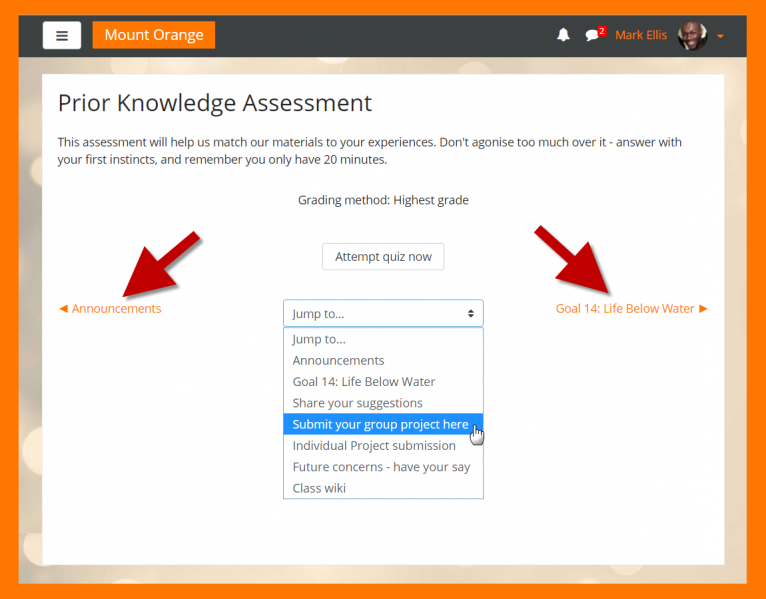 New navigation allows you to move back and forth from one resource to another without returning to the main Moodle page. Managing enrolled users for teachers is now easily accessed from the participant list. For a complete list of features see New Features in the release notes.